Nearly 400 years ago, William Shakespeare created an iconic story of backstabbing and betrayal. 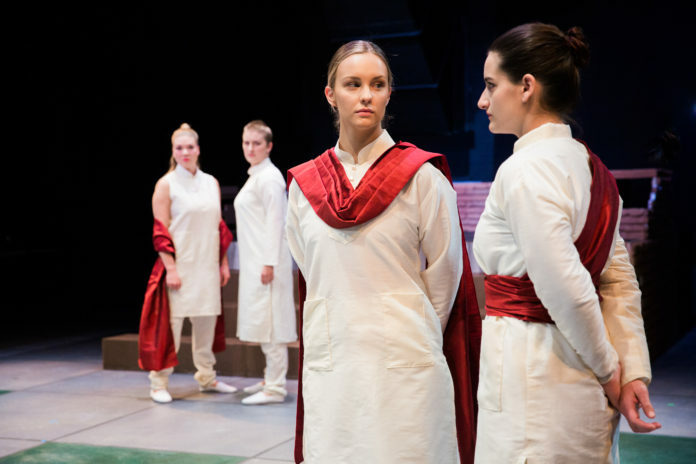 “Julius Caesar” is a staple of school curriculums to this day, reiterating a familiar story again and again. 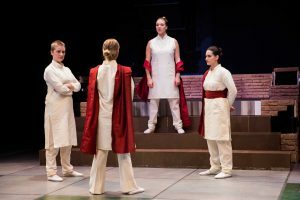 The University of Utah’s Department of Theatre decided to take a unique spin on the famous play with a change that will surely grab your attention. Carey has plenty of experience with organizing similar material — he has worked as a voice and text director for more than 30 productions at the Oregon Shakespeare Festival. It’ll be fascinating to see Carey’s innovative idea come to life on the campus stage. Furthermore, there will also be an extra element after the 7:30 p.m. show on Nov. 2. An adjunct assistant professor of theatre and gender studies, Lynn Deboeck, and production dramaturg Alia Richards will lead a post-show conversation about power and women. You won’t want to miss the lively discussion immediately following the night’s performance. 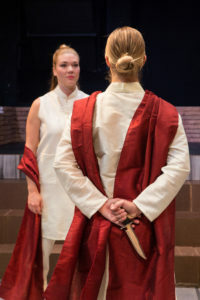 “Julius Caesar” runs from Oct. 26 – 28, and Nov. 1 – 4 with nightly 7:30 p.m. shows and 2:00 p.m. matinees on Nov. 3 and Nov. 4. The performance will be in Studio 115 in the Performing Arts Building at 240 S 1500 E. Parking is available at Rice-Eccles Stadium, Presidents Circle or in the visitors’ lot south of the theatre. Tickets cost $18 for the general public and can be purchased here. Discounts for seniors, military and faculty are offered. University of Utah students enter free with a valid Ucard. Students must present their student ID in person at the box office to request free admission. Caution: This show contains simulated violence which may not be suitable for everyone. In addition, children under four will not be admitted.